The Conservancy is pleased to announce the launch of a new program to benefit the Upper Delaware River region, Drinks for the Delaware. 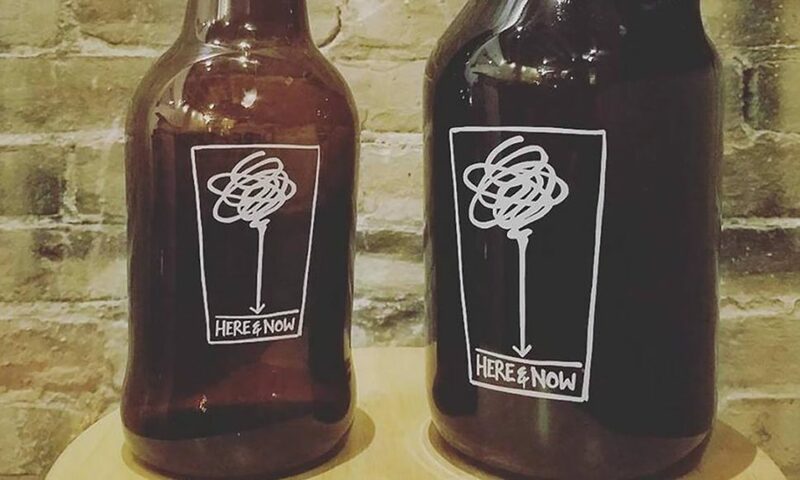 With its initial participating partners—Here and Now Brewing Company, Loose Leaf Pages, and Black and Brass Coffee, all in Honesdale, PA; and the Catskill Distilling Company in Bethel, NY—the program offers residents and visitors to our region the opportunity to contribute directly to the protection of our clean drinking water with every sip. Participating Drinks for the Delaware establishments offer a featured Delaware Highlands Conservancy drink that includes a donation of $1 for each one sold (50 cents per drink for coffee and tea purveyors). These donations are distributed to the Conservancy to support our mission to protect the clean drinking water of the Upper Delaware River region. Breweries, distilleries, wineries, and coffee and tea producers all rely on this abundant clean water to create their product, and these establishments recognize the importance of investing in their local community and in a sustainable future. “Drinks for the Delaware is a natural fit for the Catskill Distilling Company. We need the pure water of the Catskill Mountains to distill our craft spirits, and our customers appreciate that we’re also committed to protecting and investing in the beautiful farms and waters that make this place so special,” said Stacy Cohen, owner of the Catskill Distilling Company and Dancing Cat Saloon. “We’re thrilled to find new ways to partner with the wonderful locally owned, sustainable businesses who care for our community, and to work together not just for our mutual benefit, but for the millions of people who rely on clean drinking water from the Upper Delaware,” affirmed Diane Rosencrance, Executive Director for the Conservancy. Drinks for the Delaware is modeled after the Conservancy’s successful Green Lodging Partnership, which since 2012 has offered guests at participating hotels the option to make a $2-per-stay contribution to the protection of the working farms and forests, clean waters, and outdoor recreational opportunities that make the Upper Delaware River region such a wonderful place to live, work, and play.